This was my first hands on Photoshop and my first ever anime wallpaper (all the way back to 2008). When I saw this pose of Shinigami-sama I just had to make something of it. I wanted to try "vectoring" a wallpaper which turned out in bucket, gradient and brushing instead. 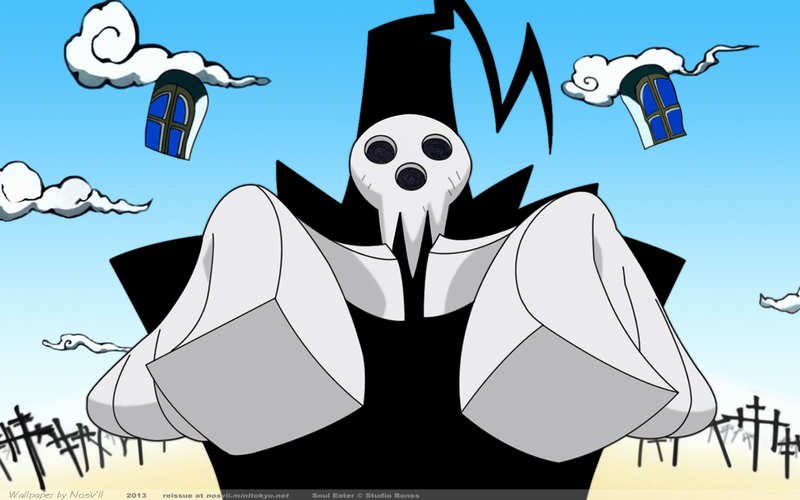 The scene is based upon several screenshots of the series Soul Eater. Note: back in those days 1440x900 was normal, so I have no higher resolution available (also due to it being made in Photoshop). what a good shinigami pose, I like the bright colors you used here not to mention every time I have ever seen this pose it's always been slightly funny and this one is not lacking in such a pose. it's like a manga scan feeling as well, well done.